Kindergarten readiness sometimes seems like an elusive concept. 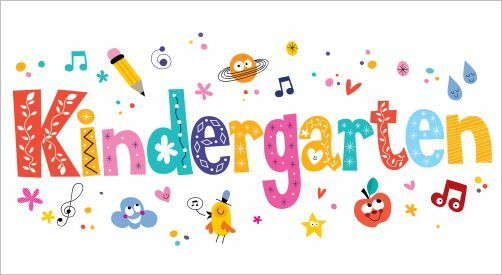 When is my toddler really ready for kindergarten? Is it something that just happens, or do I need to teach him something? These are questions that many mothers of toddlers are trying to find answers to. Part of kindergarten readiness is just your child’s natural development; as he grows from a baby to a preschooler he learns how to follow directions, begins to enjoy being with other children, and becomes able to be away from you and his daddy for longer and longer periods. But there’s more than that to kindergarten readiness, and there are plenty of things you can do with your child to help him be prepared, physically, mentally, and emotionally, for the big day when he goes to kindergarten for the first time. If your child is able to do all the things on this list he is probably ready for kindergarten. Every child is different, and if there some questions you answer no to, don’t panic. Consider them as a guide for what you and your child should be working on. •	Can your child listen to simple, age-appropriate stories without interrupting or getting up to run around? •	Can your child share with others, if not always, at least on occasion? •	Can your child control his own passions and desires most of the time? •	Can your child pay attention to a job you give him, at least for a short period of time? •	Does your child have a general concept of time, and an understanding of what morning, afternoon, and evening mean? •	Can your child cut with child-safe scissors? •	Can your child trace basic shapes or lines? •	Can your child follow rules, if not always, most of the time? •	Can your child recognize authority and understand whom he needs to obey? •	Can your child go to the bathroom independently? •	Can your child dress himself and button his coat? •	Can your child speak understandably, and talk in complete sentences? •	Can your child deal well with separation from you, and does he understand that you’ll come back and pick him up if you leave him somewhere? •	Can your child tell you stories about a picture when you look at it together? •	Can your child recognize a few alphabet letters and know their sounds? •	Can your child count to ten, and tell you how many object there are if you show him one, two or three? •	Does your child recognize rhyming sounds? •	Can your child sort objects by shape, size, or pattern/color? •	Can your child throw and bounce a ball? If you read through the questions above and are thinking ‘this is so not my child’ your little one may simply not be ready for kindergarten. This doesn’t mean that your child has learning difficulties or is developmentally delayed; every child grows differently. Your child might just need a little more time to gain emotional maturity or hone his fine motor skills. If there are only a few things on the list which your child can’t do, your child may be ready for kindergarten. In the days before he starts, spend some time working on your child’s weak points. If he isn’t counting to ten yet, use every opportunity to count the things around you. If your child doesn’t know how to play with a ball, spend some time doing throw and catch in the backyard. If your child has never made a story to go with a picture for you, spend some time looking at picture books together and talking about them. These pre-kindergarten days are a special time for both you and your little one, so don’t rush things! Let him grow and mature at his own pace.